On 7th of september close to 100 Start-Ups presented their ideas at a new Start-Up exhibition, which was set up by Deutsche Telekom in Berlin. At the so called “Lange Nacht der Startups” (Long night of the Start-Ups) companies like hellofresh, modomoto, Path, reBuy, Sponsorpay and Über explained their solutions to more thant 2.000 visitors of the event. While attending the event, visitors have been asked to choose their favorite Start-Up of the event. 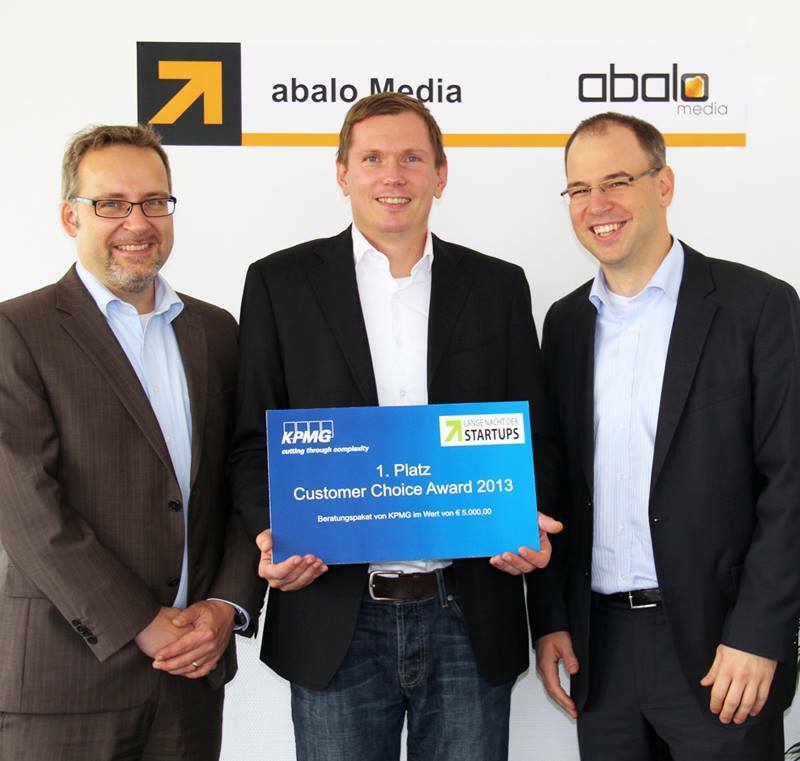 As a result abalo was voted to be the best Start-Up and won the so called “Customer Choice Award” of the Lange Nacht der Start-Ups and won a voucher for consulting services from KMPG worth €5.000. 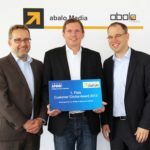 On the picture you see Marius Sternberg and Thomas Skowronek, both KMPG handing over the voucher to Daniel Klarkowski, CEO of abalo Germany.